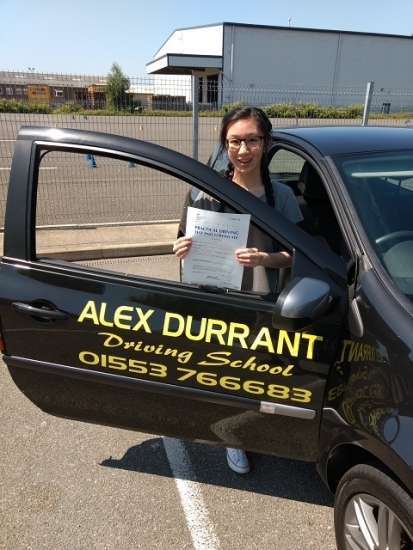 "The most important reason for choosing Alex Durrant Driving School was the price of the driving lessons and the personality of the driving instructor which I read from previous customer reviews. Learning to drive with Alex was exactly what I expected and I had no problems. His teaching methods were good because he didn't have any wasteful lessons. Everything was taught via specification. I would recommend Alex to others because he was kind and patient. P.S - Thank you very much for helping me to pass my driving test. A level results day was not too long ago and I can happily say that I will not have to take a train to Uni".